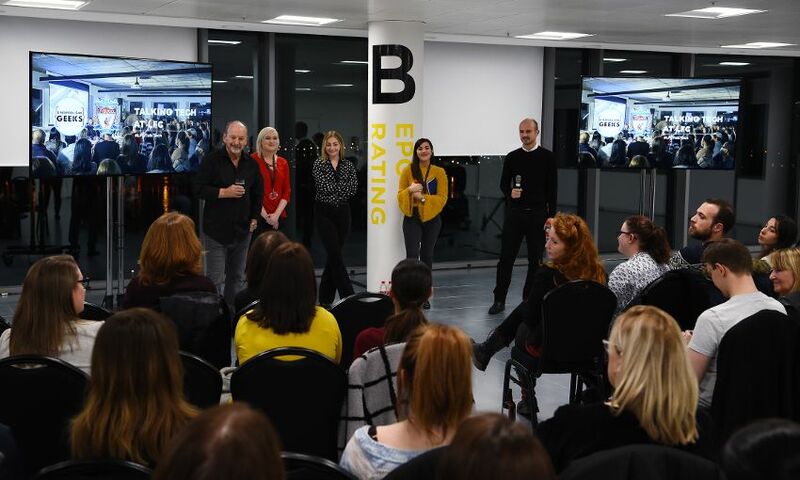 Liverpool FC welcomed more than 90 guests to its city centre offices on Monday night for an event focusing on diversity in the tech industry, organised by social enterprise Liverpool Girl Geeks. Chief executive officer Peter Moore was the keynote speaker, as the significance of technological transformation in driving business success, and the importance of diversity within the tech sector, were highlighted. Moore was joined by inspirational female representatives from the club’s media and LFCTV departments, who talked about their job roles and what it’s like being a woman working in a technology-based role within a global sports organisation. The event kicked off LFC’s membership of Liverpool Girl Geeks, a local organisation with a mission to improve gender balance in the technology sector. In line with its equality and diversity agenda, the club will be engaging with Liverpool Girl Geeks’ local community network with the hope of inspiring more women into careers within LFC’s TV, media and tech departments. Together, LFC and LGG will work to ensure that advertised role descriptions appeal to both male and female candidates alike. The club will be utilising Liverpool Girl Geeks’ communications channels and forums to reach out to skilled people in the Merseyside area, with an aim to improve diversity at the club. Simon Thornton, LFC’s diversity and inclusion manager, said: “As a club we feel it’s important to have a diverse workforce across all roles. Jo Morfee, director at Liverpool Girl Geeks, said: “Many people are unaware of the wide range of companies that offer tech and digital roles outside of the sector, and LFC is a great example of this. “It’s really important that companies in the Liverpool City Region are seen to be leading the way when it comes to creating truly diverse and inclusive workplaces. Currently only 19 per cent of the tech workforce in the UK is female and we’re passionate about improving this.